Field study of the urinary excretion of ethoxyacetic acid during repeated daily exposure to the ethyl ether of ethylene glycol and the ethyl ether of ethylene glycol acetate. The urinary excretion of ethoxyacetic acid (EAA) was studied in a group of five women daily exposed to the ethyl ether of ethylene glycol (EGEE) and the ethyl ether of ethylene glycol acetate (EGEE-Ac) during 5 d of normal production and 7 d after a 12-d production stop. The mean combined exposure concentration of EGEE and EGEE-Ac (expressed in equivalent weight of EGEE) was 14.0 mg/m3 with occasional slight excursions above the current Belgian occupational exposure limit. The daily combined exposure profiles for EGEE and EGEE-Ac were rather constant during the first observation period, but they tended to decrease during the last week. The urinary EAA excretion clearly increased during the work week. Over the weekends the elimination was far from complete, and even after a prolonged nonexposure period of 12 d traces of the metabolite were still detectable. Based on the observations from the first period, a good linear correlation (r = 0.92) was found between the average exposure over 5 d (14.4 mg/m3) and the EAA excretion at the end of the week (105.7 mg/g creatinine).  An EAA estimate of 150 +/- 35 mg/g was found to correspond with repeated 5-d full-shift exposures to the respective occupational exposure limit of EGEE (19 mg/m3) or EGEE-Ac (27 mg/m3).